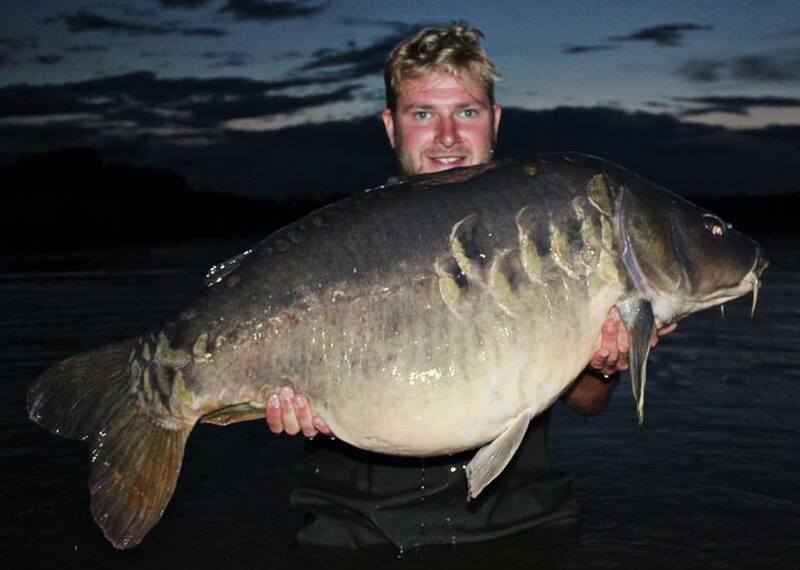 “Carp fishing during the winter is obviously much harder but it doesn’t have to be” said Ben. I’ve had loads of big fish at this time of year, including a 34lb 2oz mirror this session and a 38lb 10oz carp on Christmas Eve last year to name just two. Regards success or failure, the weather plays a major part. As well as still taking time to walk around the lake, looking for signs, up until Christmas I tend to still fish ‘Autumn-style’, this means targeting the deeper silty areas of the lake. Once I find a swim I fancy, I actively avoid the ‘obvious’ features as these will have been fished hard by everyone. I like to look for those little out-of-the-way spots, where the chod may be at its deepest. This is because places like this are generally the last bastion of any natural food, so it stands to reason that there will always tend to be a fish or two within spitting distance. Once the new year starts, I swap over to targeting more of the shallower swims as the days are getting longer, these areas tend to warm up quicker, so again the natural food cycle starts and the carp won’t be too far behind. As I tend to fish into the ‘chod’ my first rig of choice is a Chod rig! Having a full-time job, my style of fishing often sees me turning up in the dark, so the use of a braided mainline helps massively. It allows me to quickly ‘lead’ around, looking for likely-looking spots with greater ease. Once I’ve found them, I make a note of the wraps and a far-bank marker, so next time I have an idea of where to start. Regards the Chod rig, fishing as I do in the detritus, presenting a bright, highly-flavoured pop-up over the top gives me massive confidence as I know I’m ‘fishing’ well. I tend to use Chods when I’m fishing single hookbaits or casting at showing fish, but when I’m looking to fish over a bed of bait, I will swap over to a low-lying Multi-rig as I find it is a ‘less-obvious’ presentation in this scenario. In the summer, it’s ‘match the hatch’ all the way, but at this time of year I am a huge fan of hi-vis, bright, highly-flavoured hookbaits. 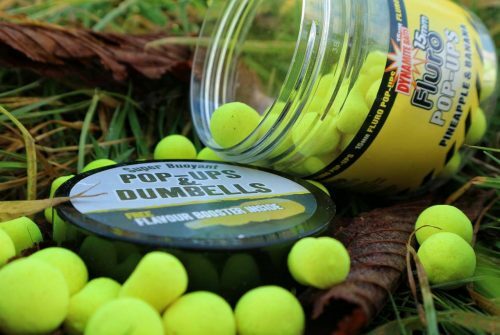 Usually, these will be one of the many excellent 15mm Dynamite Fluro pop-ups. Over spod mix though, I tend to drop the baits down to 10mm’ers. Regards the pop-up itself, I’m not so much bothered regards the flavour, I look more at the colour, my favourites being white, yellow or pink. For me, winter fishing is more about the visual side. Ones I have done really well on over the years are white Source, white Tiger Nut and pink Crave Fluro pop-ups. When I talk about spoding in the winter, most people think I’ve gone mad! 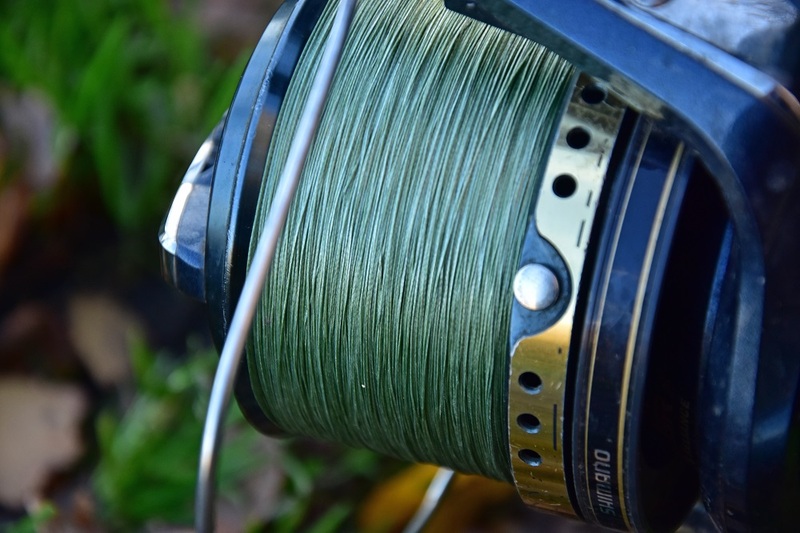 But, it is all about doing your homework properly, so you know you’re fishing on a venue with a track record for producing well in the colder months. 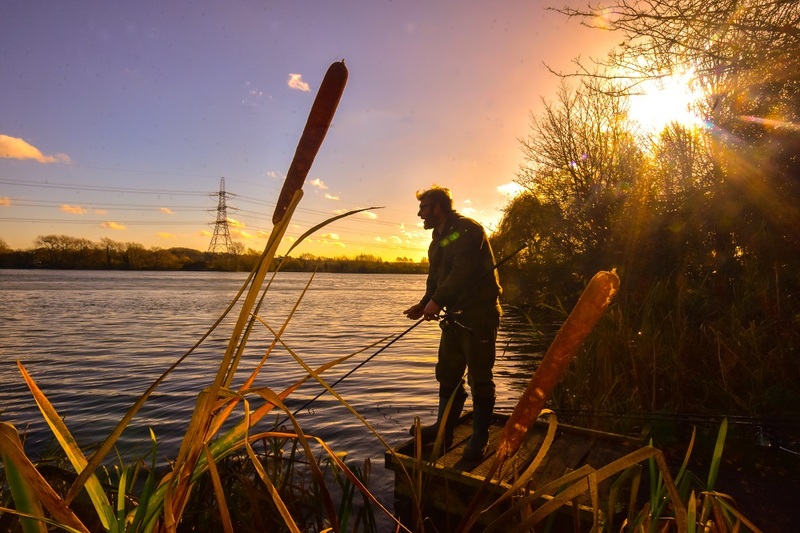 I find that on waters like these – today I’m on the Centre Lagoon in the Lea Valley Park – if you keep the bait going in, the fish will keep feeding. Fishing this style, I usually have two rods over the spod mix, while the third is fished using a roving single hookbait presentation. 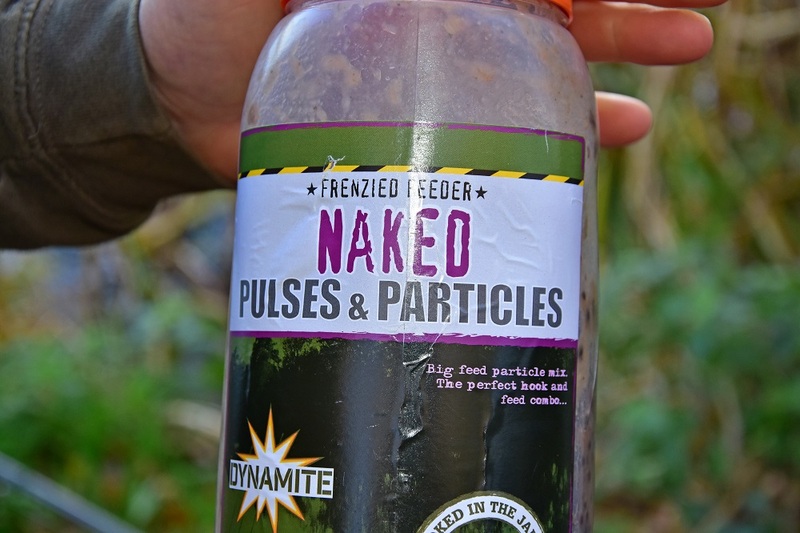 Regards the spod mix, I make up a combination of Dynamite’s new Naked Pulses and Particles, extra hemp, a few low-oil XL carp pellets, good old sweetcorn and boilies – most of which are crumbed, although I do add a few whole ones too. To finish of the mix, I add a generous glug of Dynamite’s new Tiger Nut Evolution Oil. This combination of small particles and high attract liquids floods the swim with flavour, taste, colour, texture and visual appeal. 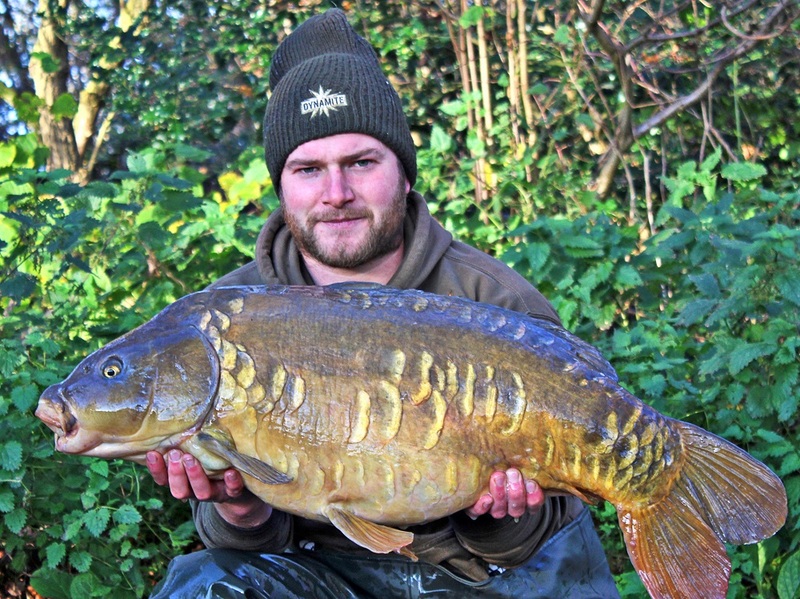 Even in the depths of winter, the carp find this hard to resist. On a venue like this, I would think nothing of loosefeeding five-kilos over a 24-hour period. That is because as well as there being a lot of big fish in here, the wildfowl and crayfish eat quite a bit of it too, sadly. If I were on another venue, I may only feed a couple of kilos? It’s all about doing your homework properly, so you can fish and approach the swim in the ‘right’ manner. Coldwater fishing really lends itself to using plenty of liquids. These add loads of taste, scent and attraction in the water, but they have zero food value. This can drive the fish mad as they look for the source of the smell – my hookbait in other words! As well as adding oils to my spod mixes, the Lea Valley is laced with crayfish unfortunately, so I often have to use fake baits on the hook. Through the day, I can use a pop-up, but at night, they are too vulnerable. But, to give my fake baits a boost, I soak them in one of the new Evolution Oils. They really coat and permeate these fake baits well, so the liquid attractant floods the swim for longer. 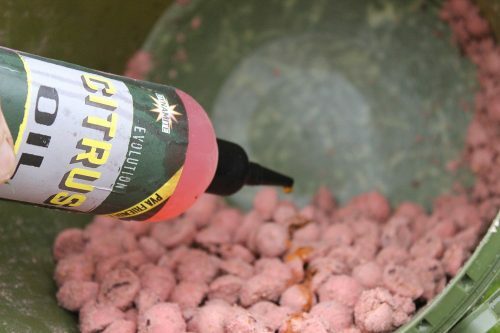 A final liquid trick I use to great effect is to pour the water off some sweetcorn before glugging the kernels in Sweet Tiger Liquid Attractant. Not only does this add to the yellow colouration of the corn, but it gives the bait a real flavour boost, as well as making it PVA-friendly. This means I can fish little corn-filled PVA-bag traps. Perfect for fooling those larger, warier carp. As I said, nothing I do is majorly revolutionary or difficult to duplicate, but the results these five simple tips produce has to be seen to be believed. Give them a go, you won’t be disappointed.